Hi, I’m Angela Kincheloe Price. 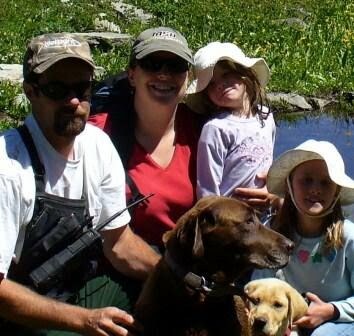 My husband’s name is Pat and he works as a fish biologist for the Forest Service.Our daughters are Brooke and Morgan. We love to spend time outside. Hiking,fishing, camping, and swimming are some of our family interests. Family is extremely important to me, which is one reason that Mr. Reynolds and I are job sharing. I grew up in Eureka and after college decided to come back to the area to teach. I have taught third and fourth grades for the last fourteen years. I am really excited about teaching Saxon Math, the new math series that Eureka Elementary adopted this year. Some of my goals this year, as a teacher, are to further develop my students’ ability to think independently, encourage creative problem solving, and nurture a community atmosphere in our classroom.